Extremely thorough and knowledgeable! Carl has 30+ years of experience, and I was beyond grateful he offered to come make a house-call on Christmas Eve. From the moment he picked up the phone, listened to my problems, and ran me through different test options, I knew this guy was the real deal. He is honest and completes honorable work, and isn't trying to swindle you like other guys in the business. He stayed for 3+hours completing multiple tests to get to the bottom of the issue behind my inability to breathe at home, and he's great company too. One of the more enjoyable Christmas Eves I've had in a while. THANKS CARL! I called A-1 Certified Environmental Services regarding a same-day inspection and their intake team was prepared to send someone out within hours of my call. I would *highly* recommend A-1 Certified Environmental Services to anyone in need of a home inspection. Highly recommended service provider. We found some [scary to us] mold in our house and gave A1 a call to do some air quality testing. He was very helpful on the phone, asked questions to better understand our needs, and arrived promptly at the agreed upon time. While at our house he walked us through each step of the process and answered all of our questions. At the end of the visit he walked us through how to read the report that would be sent later. Worrying about the safety of your family is the worst, finding someone who can offer helpful insight is awesome - thanks Carl! Carl was extremely friendly, punctual, and made a terrible situation (finding mold in our apartment bedroom) so much less stressful. I had trouble finding a mold testing business to come for a same day appointment (actually, finding anyone within a few WEEKS of availability was difficult). Carl agreed to drive down to MV just a few hours after my call. He taught me how to read the report once it comes and even gave some tips on how to present a case if the property manager puts up a fight. So thankful! Thanks for the great conversation and quick service, Carl! Punctual, professional, and precise. It was clear Carl will do whatever it takes to get the job done right. Carl is the most professional person of any customer service business that I have ever dealt with. He was prompt in calling to schedule a time and arrived when he said would and communicated what and why he was doing everything he was doing why he was doing things. Can not say enough good things about A1 environmental. WOW So I called today since my first alert carbon monoxide went off last night. Carl picked up and I told him about my situation, he suggested that I get a carbon monoxide meter, I did not know they had carvon monoxide meters LOL... and that he didnt want to come over to my house and charge me on something I can do myself for cheaper. CARL YOU'RE THE BEST! Carl is very professional and personable, arrived on time and delivered what he promised. The lab's air quality report is superb - very reliable and informative. My boyfriend and I have used his services in three occasions and we don't have any complaints. He is also a pleasure to talk to! 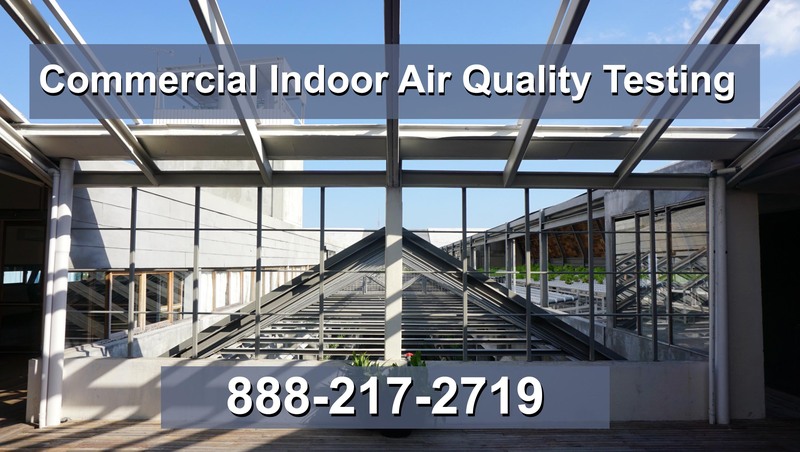 I highly recommend his testing services for any air quality, mold or VOC issues or just to find out how healthy the air in your home is. Seriously, one of the best experiences ever. Carl came out to a home im buying in fairfield on a sunday, went above and beyond his duty. He is extremely knowledgable about the many systems that make up a house, he is friendly and personable but when its time to collect samples, he will tell you to not open doors or other things that will effect the test. He is such an honest, hard working, intelligent, experienced, and patient man with great personality. Prices are way too low for the attention he actually puts into preparing for the tests. I would have paid him $600 just for the entire experience. I was quoted $2000 by another company and Carl gave me options and i only tested for what i wanted and i got 3 tests for just $350. Will get results tomorrow (3 days total for tests to come back) Seriously this man is one of a kind. Even if he was a jerk, the quality service he provided would have been worth it, but hes quite awesome so its really a no brainer. Carl arrived on time. He did a thorough inspection of our home before explaining his findings. Luckily we didn't have mold but he did discover we had a plumbing / sewage issue. He pointed out where the leak was and the needed next steps. Although we ended up not having mold, I would still highly recommend Carl. He's honest, professional and friendly. It's refreshing, in this day in age, to find a businessman putting the best interest of his client before his own. Carl Gibbons is a real pro. He helped me run an air quality test on my elderly mother's condo. He was early for our appointment, was courteous, and informative. Just like he said, he e-mailed us the lab results in one week. I would highly recommend him. He just does testing, no remediation; therefore no conflict of interest. We got our mold test results back very quickly. He gave us some good advice on a possible cause of the problem that no - one else noticed, and I'd had quite a few mold remediation companies out here. Quick service, reasonable price. I'm satisfied with the service, and the report. Carl was exceptional in his responsiveness and analysis of what was going on with my house. He pointed out the sports that could bring moisture into the house structure. Thanks to him, I discovered, and then fixed, a leak that had been going on without my knowledge. Carl was able to come by the same day I called for a quote, and did the test right away. He offered additional services which he did exceptionally well, and took him more hours that initially planned. He followed-up after the work was done to make sure everything is good. Carl is committed, hardworking, honest, knowledgeable, helpful and simply a nice guy. 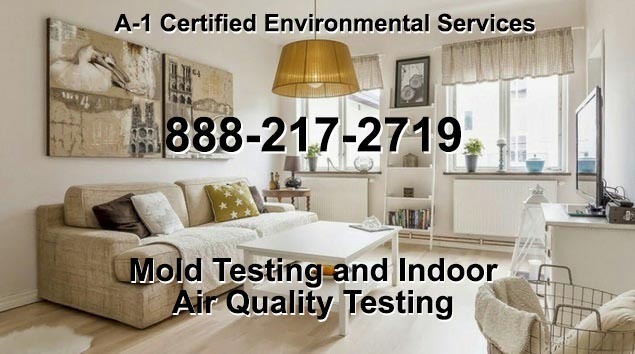 I recommend him highly to anyone, whether a homeowner, or a business owner, who needs a thorough environmental quality testing done. A++ job well done. My expectations were far exceeded by the help I received from A-1 Certified Environmental Services. 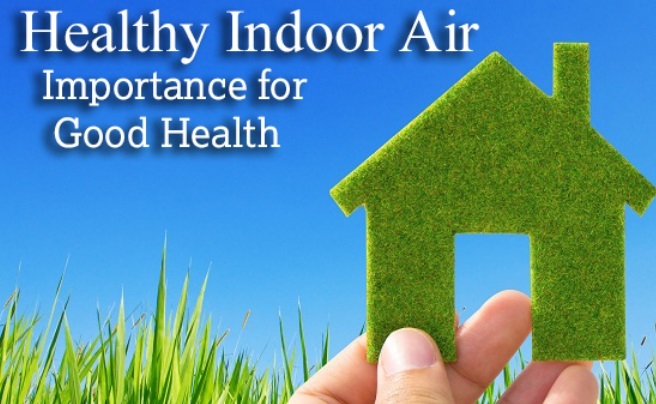 If you have any musty odors in your home, or visible signs of mold, or worse, any symptoms of mold-related illness such as unexplained headaches or respiratory inflammation and coughing -- I urge you to call in the experts for a diagnosis of your home environment's air quality. 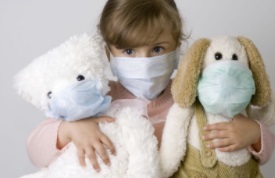 I suspected my home had a mold problem but I didn't deal with it until the point of having regular headaches, excessive mucus in my throat, and scariest of all, episodes of waking up at night coughing and having difficulty breathing. This was occurring even though an air purifier is running 24/7 in my bedroom. By the time I called A-1, I was scared. I received a prompt reply and an appointment to test for mold within two days. What I didn't expect was a thorough inspection amounting to a detailed education I sorely needed in specific problem areas and possible solutions. Now I have a laundry list of practical dos and don'ts for mitigating the problem, It may take a while to bring the mold problem under control, but at least I have the peace of mind that comes from knowing what's going on. If you think you have a mold problem -- don't delay! Your health is important. I have used this company more than once. I have always received excellent customer service!!! The reason that I originally used this service was simply because I had done research and A1 was willing to beat any other company's real price. The tech was very up front, and to the point. I didn't always hear what I wanted to hear, instead I was told the truth! He took time to explain the process that he was performing, giving me insight and a new understand when it comes to mold and the testing of it. He made sure not to call it mold, explaining that only a lab can determine that. As much as I tried to get information out of the scope, I was given knowledge that it was out of his scope and he was not able to give me information. NOW I KNOW ONLY THE LAB CAN TELL! I recently used this company to fix my office air quality. They came out, assessed the problem after the first visit and remedied the problem within a week. I'll use this company again in the future! Great service and very professional. I would highly recommend. Good timely and professional service. I was having allergy problems and couldn't figure out what the deal was because it primarily occurring inside my house. Did my research thinking it might be mold. Googled "mold inspection"and seeing that he was highly rated decided to give him a call. He was very personable over the phone answering my questions without making promises he couldn't keep. I made sure he wasn't affiliated with a remediation company because that would work against my best interests. He found the problem area,when I asked him if he could recommend someone he instead gave me some pointers on how to clean it up myself . I used his suggested cleaning methods,calling him back to retest and it was successful. He saved me potentially hundreds of dollars and for that I would recommend him highly.Oh and indoor allergies are gone! I kept getting sick in my house and I called this company sharing my concerns. The owner was answering calls that day Carl was his name, and he stared describing my systems to my surprise! Then he asked me a few questions about my house and the answer was yes to them all! He then told me how and what he could do to solve my issues in the house and I quickly made an appointment. Luckily he was able to get to me within a few days and his service was quick, quiet and the clean up was great. I have not been sick since then and it's been over 3 months. I'm a single woman so my concern was the price and the service but after talking to other men I was told that I got a really good deal! Thank I A-1 service for giving me my health back! my family and I were able to identify what was causing my unexplained illness. I am now on my road to recovery. Thank u.
Carl came to my home to conduct a mold inspection. He did a very thorough job and took the time to educate me about air quality issues. I couldn't have been happier with the work Carl did and would absolutely recommend his service. Carl was very honest and professional. He explained things very well and went around the whole property giving time for us to ask about any areas we were concerned with. We appreciated his energy and good humor. When I called to schedule the appointment he was able to get us in the very next day. I would definitely call again and highly recommend his company! Carl was very professional, explained the process well, and was careful to leave everything as he found it. Carl was was on time and followed through with his assessment. We will definitely use his services again. Carl was very professional, on time and explained all he was doing. His office followed up with me, by email and described to me what to look for when I received my lab results. Explained what steps to take if my results returned with elevation of mold. I got the sense he was their to take advantage of me, just wanted to make sure everything was covered. They were very professional. I would highly recommend them to everyone I know. I am very happy with A-1 Certified Environmental Services, LLC. I will use them again in the future.